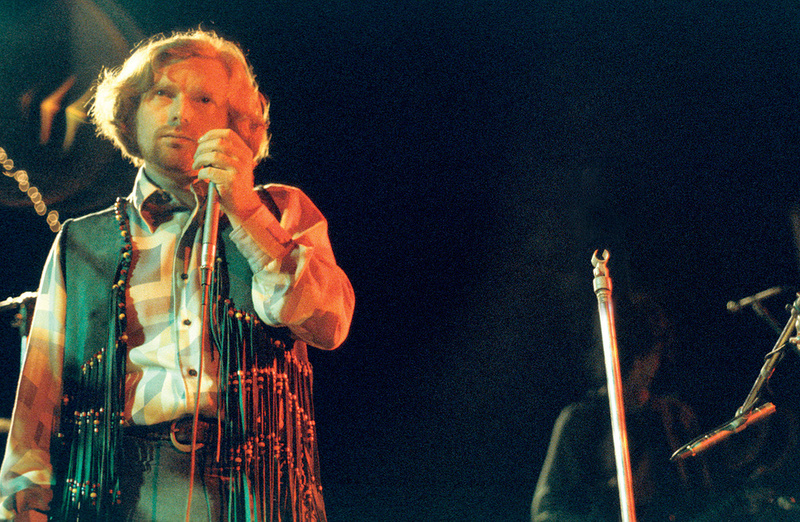 On his second solo album, Van Morrison took the production reins for the first time. Manning the desk was engineer Shelly Yakus, who tells the story of recording Moondance. George Ivan Morrison. Van The Man. The Belfast Cowboy... Regardless of the name or the identity, Van Morrison is hard to categorise. A vocalist whose idiosyncratic growl characterises an unusual, highly influential style that, according to critic Greil Marcus, "no white man sings like,” as well as an award‑winning multi‑instrumentalist, songwriter, poet and author, Morrison has pursued an eclectic musical path since first rising to prominence as a member of the Northern Irish band Them in the mid‑'60s. While R&B and American soul have clearly informed much of his work, including such early successes as the self‑penned garage rock classic 'Gloria' (1964) and his first solo release, 'Brown Eyed Girl' (1967), he has also given free rein to his penchant for jazz, blues, gospel, country, Celtic folk, spirituality and lengthy stream‑of‑consciousness narratives. These have been highlighted on songs ranging from 'Moondance' and 'Domino' (both 1970) to 'Bright Side Of The Road' (1979) and 'Have I Told You Lately' (1989), as well as on a series of highly acclaimed albums including Astral Weeks (1968), Moondance (1970), His Band & The Street Choir (1970) and Tupelo Honey (1971) that runs all the way to Magic Time in 2005 and Pay The Devil in 2006. Amid this rich, detailed tapestry of work, Astral Weeks, with its mixture of folk, jazz, R&B and improvisation, established a standard of excellence that has seen it consistently being voted one of the top albums of all time. 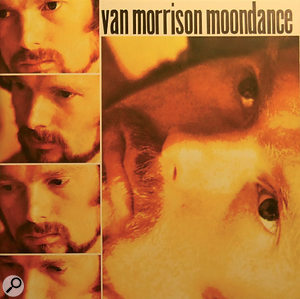 While its generally introspective, pessimistic tone perhaps accounted for its lack of commercial success, this was rectified by its equally brilliant yet far more upbeat successor, Moondance, which peaked at number 29 on the Billboard chart following its release in February of 1970. Featuring such timeless gems as 'Caravan', 'Into The Mystic', and the title track that Van Morrison has performed more than any other number in concert, this record saw him enter New York's A&R Recording studio with only the song arrangements in his head and a determination to do things his way. 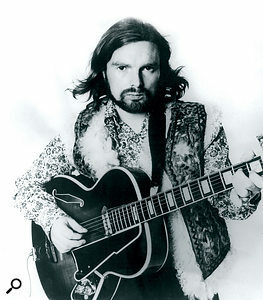 After 'Executive Producer' Lewis Merenstein populated the first session with many of the musicians who had contributed to Astral Weeks, Morrison "sort of manipulated the situation and got rid of them all,” according to guitarist John Platania, who was part of the band that did end up playing on Moondance. Alongside him were Garry Mallaber on drums, John Klinberg on bass, Jeff Labes on piano, Jack Schroer on alto sax, and Collin Tilton on tenor sax and flute. A&R actually comprised a number of different facilities: the original, opened in 1961, was located on the fourth floor above a much‑loved bar named Jim & Andy's at 112 West 48th Street, and this was eventually supplemented and then replaced by another at 322 West 48th Street and one at 799 7th Avenue. The 7th Avenue location had two recording rooms and a mix room, and it was there, in the Studio A penthouse, that most of the sessions for the Moondance album took place in August and September of 1969. "Studio A had a custom board with round knobs on it and no EQ strips,” Yakus recalls. "It was very straightforward, with a patchbay, some reverb sends, a bus selector over each knob and a bunch of meters. They had that console for years. Even when other places were getting more sophisticated boards, A&R resisted changing theirs because they knew they had a sound. And even though they eventually had to go to a Neve in that room to keep attracting clients, that board today would still make a great sound. "The tape machine was a Scully eight‑track, and they used a combination of Ampex and Scully machines to record the other masters and safety copies. The main monitors were Altec 604Es, and we found that running three speakers at the same time in that large control room was accurate. We'd therefore run it in mono. For instance, [the Band's] Music From Big Pink was recorded there on four‑track, and in order to get the balance right we'd listen in mono. We could've split it in stereo, but it was safer to listen in mono and listen as a finished record. Listening in mono with a proper balance, everything ends up combined correctly on the tracks, and from that I learned that, if I listened to everything together rather than just listen to a solo forever, I could work one instrument against another and get everything right. It's not so much what your EQ is doing to one instrument, it's what that sound is causing all of the others to do. "There was some basic equipment in the Studio A control room, including a Fairchild, Altec limiters, Altec EQs, Pultec EQs and some great‑sounding EMT chambers, which is one of the secrets to making really good records. The room sounded wonderful, too. At the time of the Moondance project, Shelly Yakus's main studio experience had previously been as an assistant only, and therefore the opportunity to record Van Morrison as a fully‑fledged engineer came as a bolt out of the blue. "In those days, there were two young women who handled the bookings at A&R,” he says. "It was a very busy studio complex, and they had a book on an easel which they would amend as the calls came in. Those girls controlled an engineer's life, informing clients who was available and best suited to work on a specific project, and one day they called me to say I was being recommended to work with Van Morrison. I said, 'Well, what's the setup?' and they said, 'It's bass, drums, guitar, vocal and horns.' I said, 'I've never recorded horns,' and they said, 'Well, you can work it out.' They had probably checked with some of the engineers I'd assisted and been told that I could do it. I must have done enough, I guess, to capture someone's ear, and so I had to figure out how to record horns on the session. Which is why Yakus has no regrets about — and, indeed, had no say in — Steve Friedberg, Tony May, Elliot Scheiner and Neil Schwartz also engineering various parts of the Moondance album. He was just happy with his own involvement, which in the case of the title track amounted to his taking care of the recording and Scheiner handling the mix. "It was remarkable to hear those songs coming out of the big speakers in the studio,” he says. "I always rode each vocal as if I was mixing the track, doing it live and learning the vocal with the singer. I'd sing it to myself and would actually ride up the beginning or end of words if he was swallowing them. That way, the vocal was as complete as I could possibly get it, regardless of who would be doing the mix, and the engineer could then spend his time getting a cool sound on the vocal and fitting it to the track rather than doing what I did and maybe take a chance on over‑limiting it to get the words up. "Singers have many different styles, and you have to try to understand what they're doing at any given time. All we're trying to do is make the colours more vivid. In fact, if you listen to the first six numbers on Moondance, Van doesn't use the same voice twice. It's all him, but he's using his voice like it's an instrument and expressing himself on each song to get it across as he envisions it. Listening to those songs one after the other is an amazing experience. Each song is fabulous from beginning to end, and the next one is nothing like the one that came before, yet its melody is just as strong and just as all‑consuming. Shelly Yakus in his home studio today. Although the A&R Studio A live area was large, only the right-hand side of it (as seen from the control room) was utilised for Moondance, with the drums surrounded by the rest of the rhythm section. The left side of the room was mostly reserved for string sessions, as well as for risers to record Broadway plays and cast albums. Singing live with the band, Van Morrison was positioned opposite the control room, at the far end, in an uncommonly large booth that could accommodate a lead singer on one side and a vocal group on the other, separated by a glass partition that enabled them to see each other as well as the band. "I had just one mic on Van, a [Neumann] 67, going through a Pultec and a limiter,” Yakus recalls. "I probably used one side of a Fairchild on him and found the setting that I liked. I never was a guy who used a whole lot of EQ when I was recording. I was just trying to get everybody to fit together and leave some room for later on. The 67 is pretty full‑sounding, and it worked with the bottom end of his voice for all of the tracks, regardless of how he sounded. The miking of Gary Mallaber's drum kit comprised an Altec 633A 'Saltshaker' on the snare, together with Shure SM57s on the kick and on the hi‑hat, a Neumann U87 on each pair of tom‑toms, and U87s as overheads. Meanwhile, with a combination of DI and an Electro‑Voice RE20 used to record John Klingberg's bass, an SM57 and Beyer 160 were used for John Platania's guitar. A Sennheiser 421 took care of the low end and a U67 the high end for the piano played by Jeff Labes, while a U67 covered Jack Schroer on alto sax and a Sony C38 FET was used for Collin Tilton's tenor sax, as well as a U67 for his flute overdubs. What Was In Van's Head? "Although Van didn't come to the studio with music charts, he and the band must have rehearsed the material before we started recording,” Yakus surmises. "I mean, for the horn players to come up with those parts, they had to have known something... I don't know if you've ever seen horn players walk into a session for the first time where there's no music written down and they're trying to figure out their parts — it's like a traffic jam. And there was none of that going on. The horn players knew the melodies of the songs, they knew what they were going to play. So, while a lot of stuff was worked out in the studio, there's no way they could have worked out all of those parts there, and I don't believe for a second this was the first time they heard that stuff. In the case of 'Moondance', Yakus was dealing with a jazz/folk groove and Van Morrison's sublimely romantic phrasing, as well as a drummer whose use of his kit had to fit with the main man's voice. "A lot of people make engineer records,” Yakus remarks. "You know, 'Oh, I'm going to make this great-sounding snare drum,' even though it has nothing to do with the voice and nothing to do with the guitar sound. 'I'm gonna make this statement.' The way I learned to make records and the way I became successful making records was to say, 'Here's the sound of the man's voice. Let me get a semi‑finished sound on him. Let me get some reverb in the monitors so I can hear what a finished mix might sound like. Let me get the snare drum to fit with his voice so every time there's a hit it's not a distraction, allowing everything to flow instead of stopping the song because it's so loud or so bright. And let me make sure that the bass drum and the bass go together, so that whole low end on its own is sort of dancing, with the snare drum pushing it.' Those sounds all have to fit together, not only with each other but also with his voice, and the musicians all have to sound like they arrived at the session in the same car. "The philosophy was the same for 'Moondance'. Everything had to have its place and dance together. The band had to sound like it was swinging. I could have lost the swing of that band had I got the interpretation wrong. In other words, if my interpretation had been that they should be a jazz band or my interpretation had been that they should be a much harder‑sounding rock group, and had I gone in either of those directions — which I absolutely could have done during the recording — it wouldn't have been nearly as effective as what we ended up with. "We just kept working on 'Moondance' until everybody started to play like one person playing all of the instruments. It's about getting that take where everything comes together. Picture trying to get the take where the band gets it right, the singer gets it right and the horns are perfect — some of those horns were doubled afterwards on an overdub, but otherwise it was like trying to get a bunch of actors to peak at the same time. Still, those guys were really good. If you listen to that record, they had a feel that was raw and finished at the same time, and that's very difficult to do. They weren't trying to do that, it's just what they naturally felt in real life, their natural sensibilities. In fact, if you got a bunch of musicians together today and said, 'Hey, make that sound,' it wouldn't happen. They'd make another sound and it might be very nice, but it wouldn't be the one on that record. 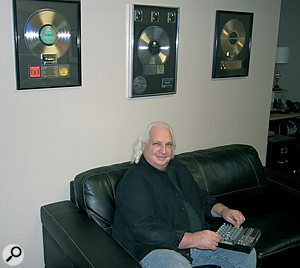 As one of the premier engineers in the industry over the past four decades — in addition to his work as one‑time Vice President of both the Record Plant (NYC) and A&M Studios and, most recently, heading up the development of a new state‑of‑the‑art audio technology for mystudio.net — Shelly Yakus has been involved with projects by a veritable who's who of the rock era. He's worked with John Lennon, Bob Dylan, U2, the Ramones, Tom Petty, the Band, Dire Straits, Madonna, Lou Reed, Stevie Nicks... The list goes on, for the man referred to as Shelly 'I Can't Take the Pressure' Yakus in the sleeve notes to Lennon's 1974 Walls & Bridges album. After learning to edit as part of his apprenticeship at Ace during the mid‑1960s, Yakus made his way to New York City and, in 1967, secured a job as an assistant at producer/engineer Phil Ramone's then‑ultra‑popular A&R Recording. After a few years at A&R Recording, Shelly Yakus relocated to New York's Record Plant, where he reunited with Roy Cicala, who had also been at A&R. "We used to do a lot of experimenting, where we'd have a shotgun microphone over the drums, 20 feet in the air, or we'd get an old oil drum, tape headsets to the outside of it, place a mic on the inside and record the sound reverberating. One time, Roy said to me, 'Listen, I want you to go to the drug store and get a pack of rubbers. I want to put one on this microphone so that it doesn't get ruined when I place it inside a glass milk bottle filled with water. Then we'll tape headsets to the side of the milk bottle, send the drum sound in there and see what happens.' That turned out to be awful‑sounding, but the oil drum was pretty good and the stairway was pretty good, and we used to do crazy things that worked, whereas today people just twist the knobs. I don't want to say that they're not making great records — once in a while, one comes along — but I have to tell you that, for me personally, it's disappointing to turn on the radio and feel like one person is mixing all of the records and one producer is making them in the same studio. It all sounds kind of fabricated. "Today, people confuse new with better, and I don't necessarily go with that. It's not that I'm old or thinking like my father — I don't want to say, 'Ohhh, the analogue days!' I do like to use a combination of analogue and digital. But the truth is, in my opinion you need transformers to be able to capture what's in a room. Without them, it always sounds like a thin representation. When I look back at the equipment that was used, it was so very basic, but the successful studios all had fabulous‑sounding rooms. You opened up a mic and it sounded like music. You didn't have to do a whole lot to it. "You had to really be clever to get something sounding unique. Anybody could balance a song, and it would sound nice and marketable, but to cross that line and really come out with something special you had to experiment a lot. This would either be at a different time to the session, so that you had your chops together, or the producer would allow you to experiment at the session itself.